« Spring Means Bikes Own Lake Shore Drive on May 30! 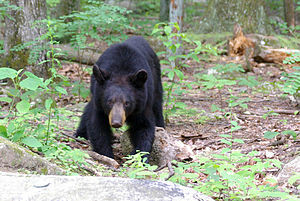 Hiking in the Chicago area is a relatively safe enterprise as far as bears are concerned. For those of you that plan on venturing out into the wilds anywhere outside Chicago, it’s a good idea to know how to handle yourself if you happen to run into a bear. Or if a bear happens to run into you! Watch this humorous video on You Tube that teaches you how to deal with a black bear or grizzly encounter. The video star Shannon Davis and Ted the Bear! For more survival videos, visit backpacker.com/survival. If you have any problems watching the video from this blog, to view the video on You Tub click here.